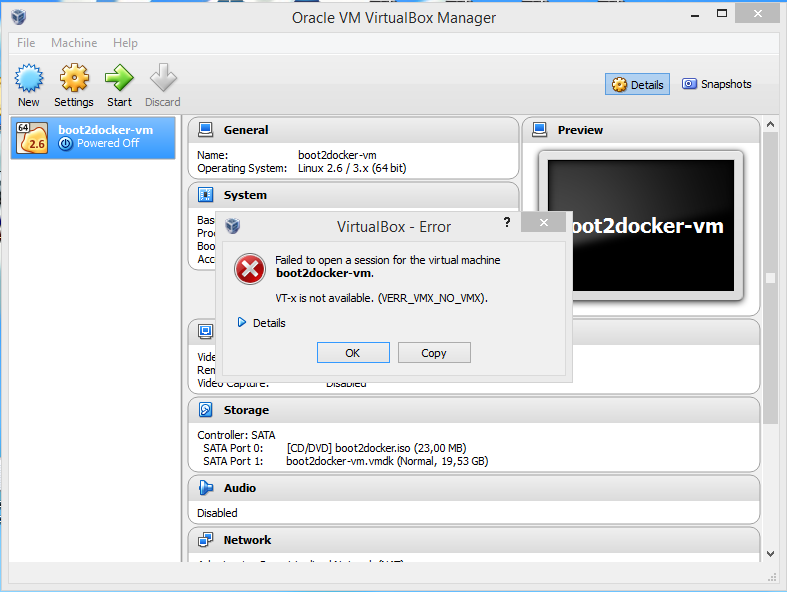 Today I was trying boot2docker, and I was not able to start the docker engine, so I tried to run the virtual machine directly from VirtualBox and I saw that the problem was “VT-x is not available”. Searching in internet I found that this is because you don’t have the proper hardware (VT-x is not supported by your main board), or you have Hyper-V installed and active, this was my case. then you need to reboot, and yes it is boring! How do I get Java plugin working on Google Chrome? Re-Enabling Silverlight, Java and Facebook video! …and here we go!! God bless the configurations! This configuration is temporary and will work just until Chrome version 45 that will be released later in 2015. After the release of Chrome version 45, you’ll need to use an alternate web browser to load content that requires a NPAPI plugin. Author Michael DennyPosted on April 17, 2015 May 22, 2015 Categories Uncategorized1 Comment on How do I get Java plugin working on Google Chrome? Re-Enabling Silverlight, Java and Facebook video!